“Summer Fridays” were never really a thing when I was working a typical 9-to-5 in Dallas or Houston, but my friends in New York have all told me about it. If you’ve never heard the term, it basically just refers to the early check-out-of-the-office times on Fridays throughout summer! Sounds great, right? Starting your weekend early is never a bad thing. I don’t often cut out early during the week, even though I work from home. I prefer not to work on the weekends, so I try to fit in everything I can Monday through Friday! With that said, this week I need a vacation from my vacation. I’ve got so much work to get done for the blog (so many photos to edit from Mexico, for one! ), errands to run and things to schedule for the new house, etc, but I didn’t get back home until 11pm last night and just sort of need a breather from all the back-to-back activities over the last several days. I’m so glad Memorial Day weekend is upon us, and can’t wait to celebrate by the pool and relax. In addition to the Levi’s pair I’m wearing, I recently purchased this pair by GRLFRND for a more clean look. The ankle is a little wider than what I’m wearing which is something I normally wouldn’t go for, but I really love them! Here’s another great wash in the 501 I’m wearing. Less distressed and a little lighter in color! A great option if you’re testing out the look and don’t want to try anything too aggressive. 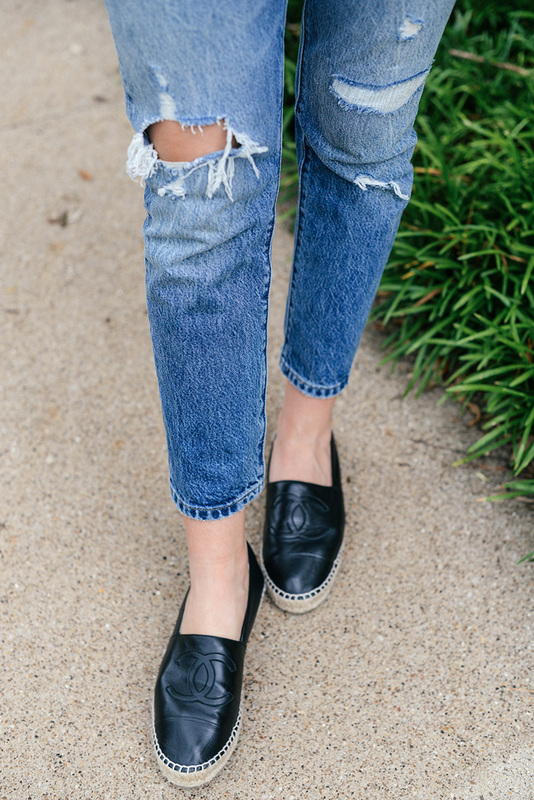 This RE/DONE pair is the perfect light wash for summer. 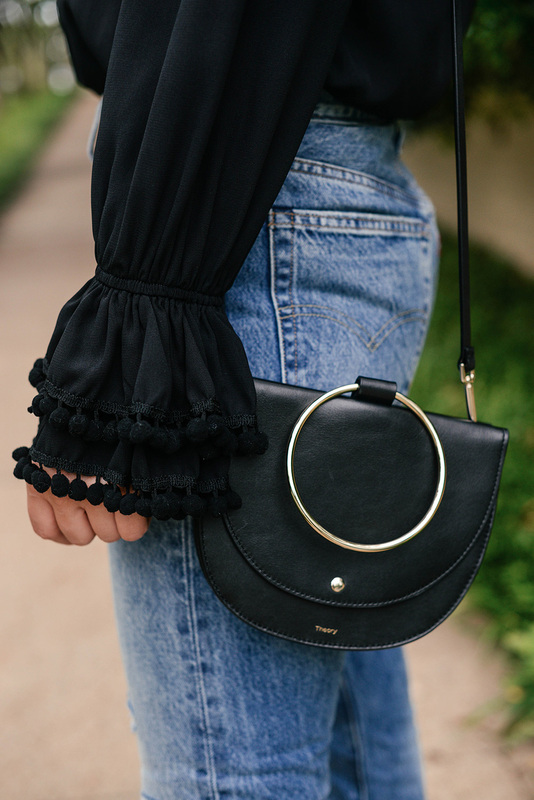 Would look so effortless and cool with a plain white tee and modern accessories! I’m having a serious Levi’s moment, so the next pair I might try is this faded pair. Maybe too edgy for me? 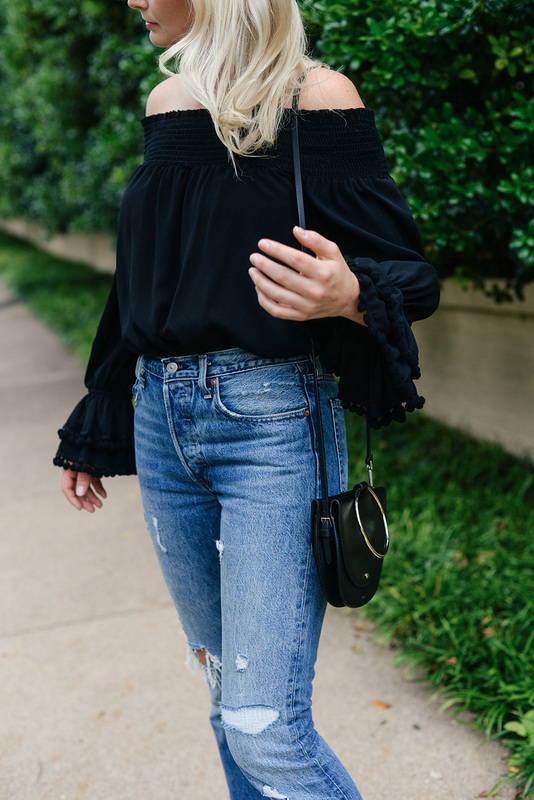 These jeans are on sale and look pretty much perfect. Love this look! Enjoy your weekend. Hope you get to relax a bit. Those jeans are perfect! I love the look and fit of them! Have a great long weekend! 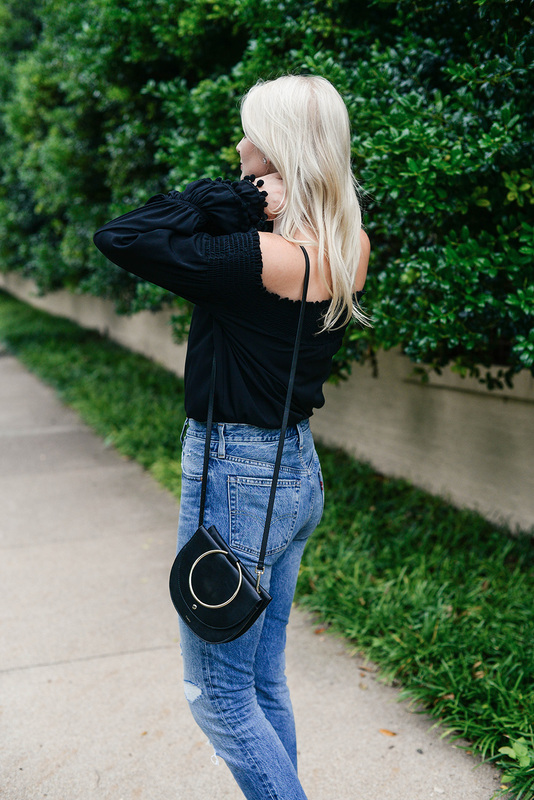 I love the details on this black top! It looks so pretty on you! !